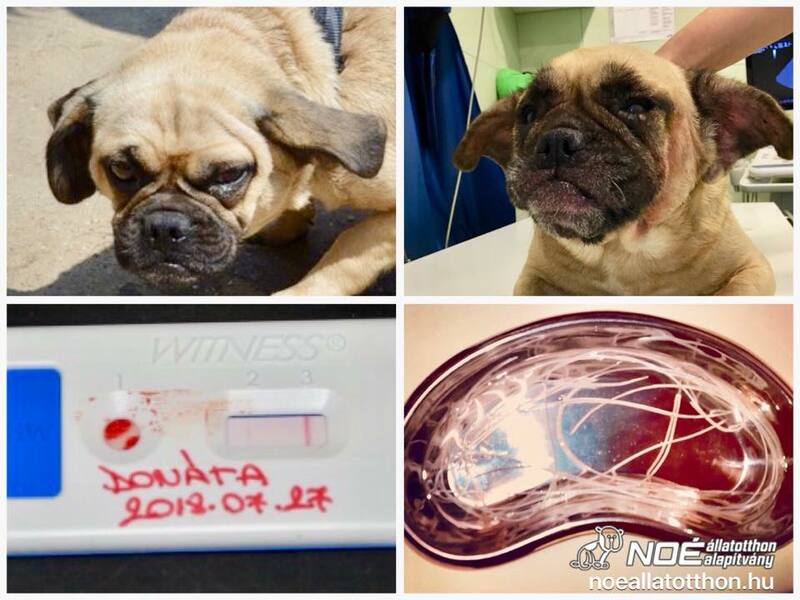 Noé Állatotthon Alapítvány - Another heart worm surgery! It is a difficult day for us. Two of our Pugs had to have a very dangerous catheter surgery so the grown heart worms could be removed from around their hearts. Donáta and Vitália came from a puppy farm in Püspökladány. They have other health problems as well but far the worst is their heart worm infection. The only cure for them is the heart surgery. Dr. Dalma Péterfia and her super team, Dr. Luigi Venco Italian heart worm specialist Professor will operate on the today. We are very worried but this is their ONLY HOPE. Please, keep your fingers crossed for them! The operation is not just very dangerous but also very expensive. Their surgery is more then 500.000,- Huf (about 1650,- euros). We are asking for your help in order to pay this huge amount.